A Christmas story written with barnyard animals reflecting on the animals at the first Christmas. 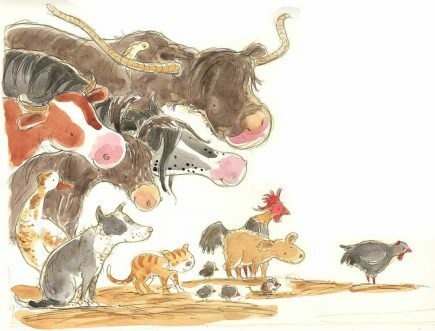 Many years ago I was asked by the breast feeding association to include breast feeding mothers in my stories. 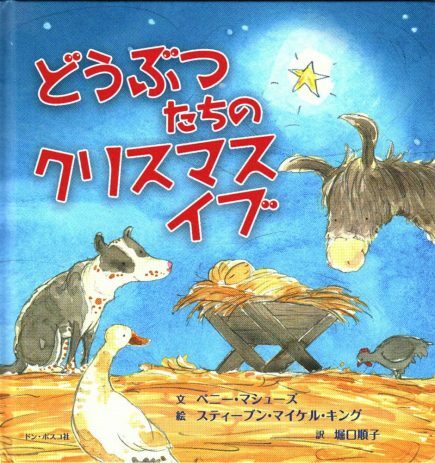 It took a long time for the right book to come along. 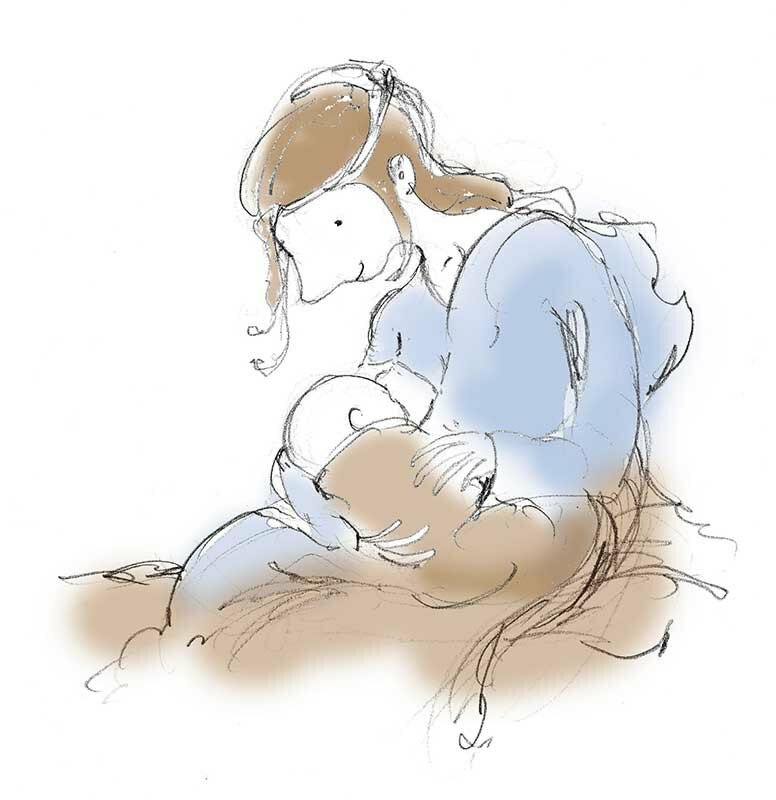 I drew an image of Mary feeding her child in what I feel is respectful and beautifully human. 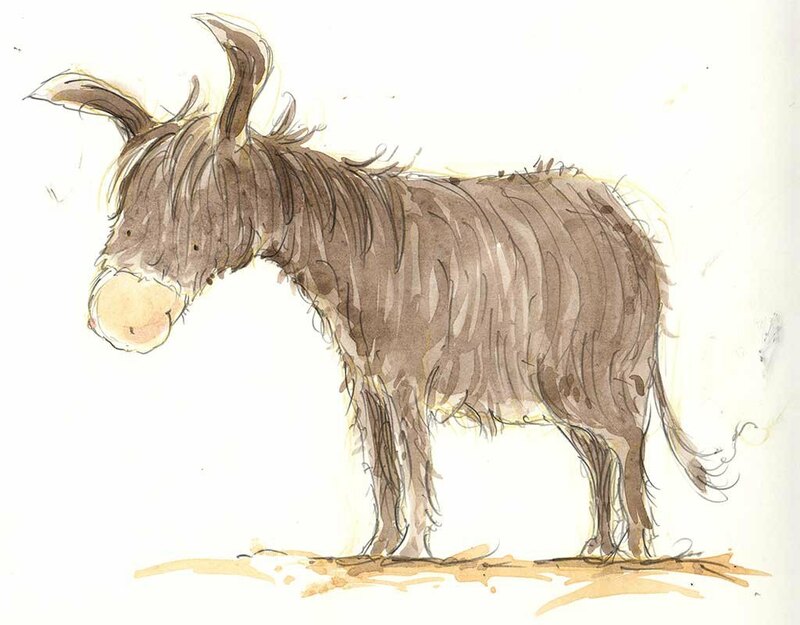 I also love my gentle, shaggy donkey character in this book. The picture of donkey is pinned on my ideas board in my studio. I guess, donkey’s always seem to come off second best to horses so I have a soft spot for them. I know donkey is going to give me a story one day. One Night has been published in China. 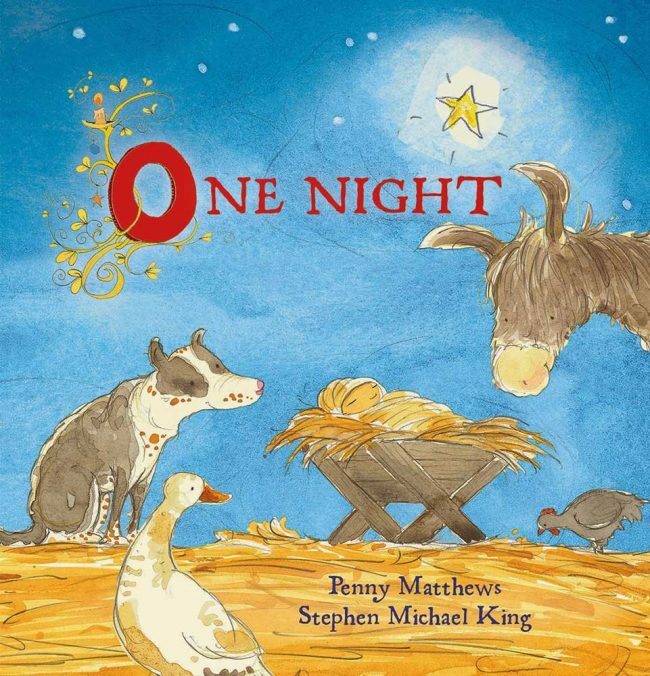 One night a child was born . . .